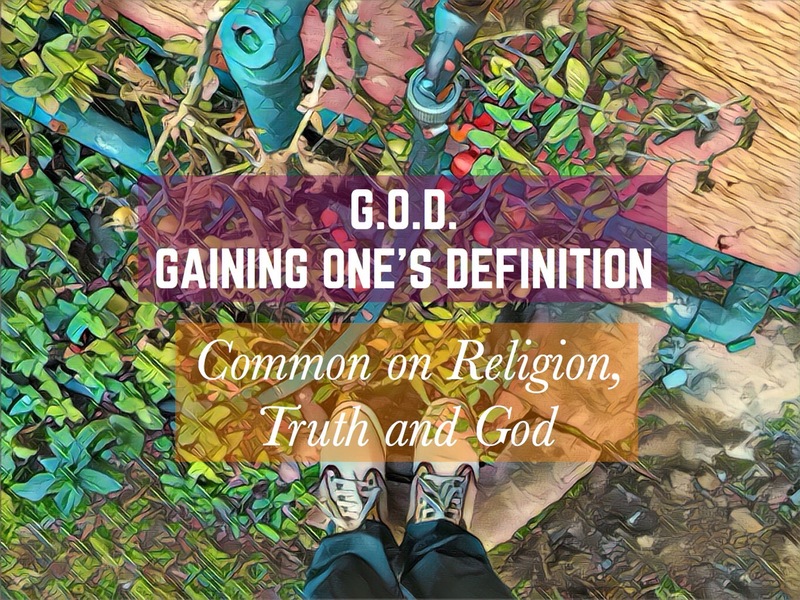 In one of my favourite songs, G.O.D (Gaining One’s Definition), Common reflects on the nature of God, truth, meaning and religion. Set us against the backdrop of a haunting and melodic piano that pulls and tugs against the deepest longings and questions of the human heart, his poignant lyrics invite us on a cosmic journey of one man’s reflection on religion, truth and God. The song itself is a fitting part, and indeed I would go as far as saying the crowning jewel of the whole album appropriately titled One Day It’ll All Make Sense. I think what attracted and caused me to fall in love with the song when I first heard it over 10 years ago was the fact that I resonated with the picture of reality that it was describing. Common sketches a worldview where God, a higher power, the supreme transcendent being exists however God’s precise nature is vague and sketchy. Therefore various religions faced with this dilemma are attempts to describe partial aspects of God’s inexhaustible and unknowable nature. No one religion or worldview holds the entire truth about God. This narrative is illustrated best by the parable of blind men who have never come across an elephant and decide to learn what it is by touching different parts of it. One touches the trunk, another the tusks, another the legs and so on. Each describes the part they have touched and they begin disagreeing because each blind man thinks their partial view is true of the whole elephant and that the others are wrong. However each man because of their perspective has a partial view of the whole. They are each correct because of their perspective. Each man sees the elephant from their perspective. Similarly our different worldviews and religions are only latching onto partial parts of the whole bigger picture, our beliefs are always formed from a perspective. This means then no one religion and worldview can claim to possess the whole truth. There are a number of reasons that made this idea compelling and attractive. Firstly it immediately helped me make sense of the fact that there is a plurality of worldviews, narratives and religions in the world. There are multiple claims and worldviews about ultimate reality, our origins and ultimate destiny, and it is really difficult to sift through the different claims of each worldview and to make an assessment about which ones are true and which are false. How would I even begin to try and discover which worldview is true? It was game, a power play, a way for one particular group to show their superiority by claiming they have the truth on ultimate and spiritual claims. And ofcourse I did not consider myself to be superior nor did I want to impose my ideas on others. The crux and essential aspect about religion is not whether it is true but whether it helps you to live a good life. 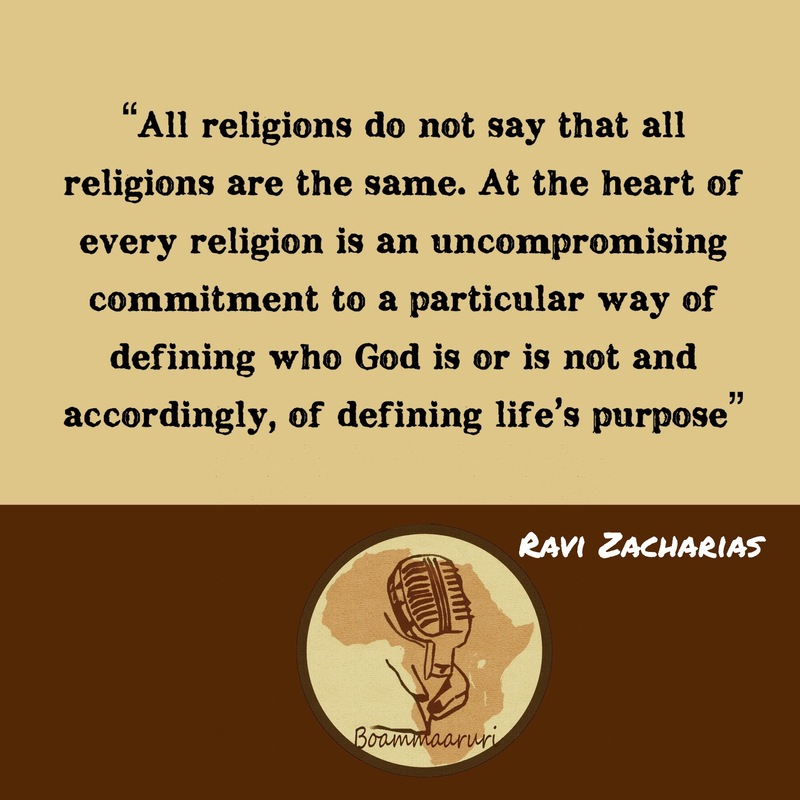 And all religions whether Christianity, Islam or Buddhism are directed towards that purpose. I came to a point where I realized that upon closer scrutiny these beliefs that I shared with Common and Kweli were untenable and in some instances were guilty of the very same things they claimed not to do. First was the logic problem. To say that all religions are basically the same when they make mutually exclusive claims is incoherent and impossible. It is a clear violation of the law of non contradiction that something cannot be A and not A. If I’m about to cross the road and I believe that,there is no car coming, that is not equivalent to the belief there is a car coming. These mutually exclusive beliefs cannot both be true when I’m about to cross the road; failure to recognize this would be disastrous and I would guess that no one would disagree with me. But then why do we think when it comes to claims about worldviews and religion the same logic no longer applies? For example Christianity claims that Jesus is the divine Son of God who became incarnate and died. Islam claims Jesus was not divine, but only a prophet who never even died at all. If this was a comprehension test and you were asked whether these two claims are the same and whether both can be true, you would easily answer no they are mutually exclusive because they contradict each other and therefore cannot logically both be true. They can both be false, or one can be true but both cannot be true. Theravada Buddhism has as its central tenet that there is no transcendent personal God whereas Christianity claims there is an absolute and personal God who transcends the universe; again these claims logically cannot both be true. 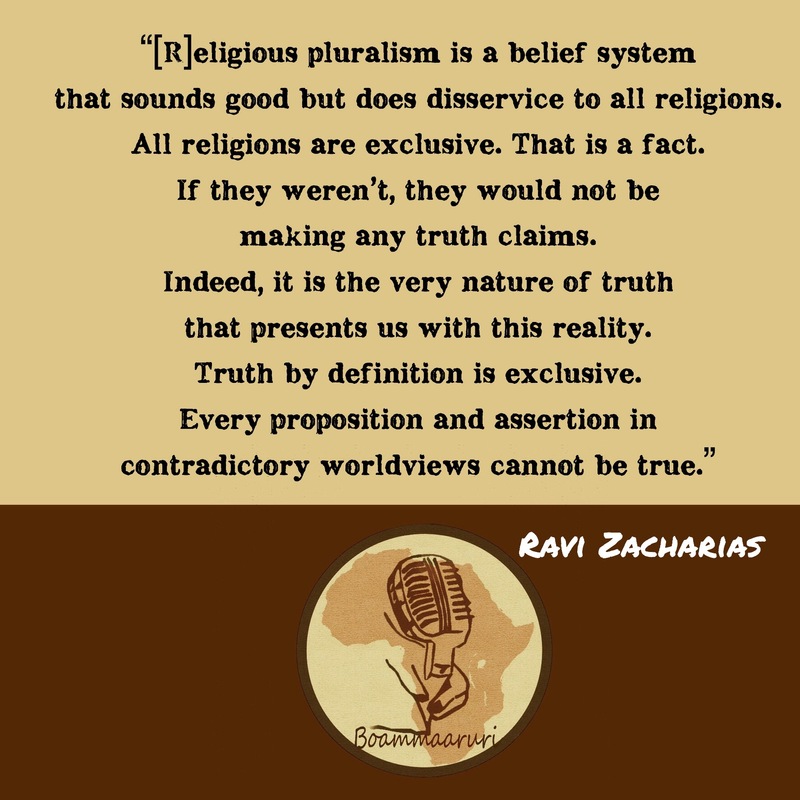 Secondly the claim that all religions are the same or that there is no single true religion assumes that claims and beliefs about religion are all subjective, a matter of opinion and preference. The assumption is that they are similar to claims about our favourite ice-cream. Would you say there is a right and wrong favourite ice-cream? Ofcourse not! It is dependent on what your particular preference is. Religious beliefs are in a similar category. However this view commits a category mistake. Claims about a person’s favourite ice-cream refer to the subjective state of a person. Emotions, sensations refer to our subjective state. Religious claims however refer to the objective state of the world. They are claims about what reality is like, the nature of God and how God relates to the world. They are in the same category as claims about the temperature that water freezes – no one would think the freezing temperature of water is subjective. It is an objective feature of the world. Ofcourse the methods we use to answer and discover how nature works are different to how we answer philosophical and religious questions. The fact that people hold different religious beliefs does not necessarily mean that all religious beliefs are true. The flaw in the parable of the blind men touching the elephant. The parable of the blind men claims that each blind man “sees” or experiences the elephant from a limited perspective; they each touch a partial aspect of the elephant and therefore each blind man’s experience is true for them. Their error is in thinking that their perspective represents the whole elephant and that others are mistaken. The first problem with the parable is that it does not do achieve what it sets out to do because it still assumes there is a perspective that sees the whole picture, there is an independent reality that exists apart from the blind men. Secondly where is the story teller located? The story teller wants to convince us that no person is able to grasp the whole picture. Each person only touches a limited and partial aspect of reality through their limited perspective and experience and yet the only way the story teller can tell us this fact is if their perspective allows them to see the entire picture. Unlike the blind men, the story teller is able to grasp the whole of reality and realize that there is an elephant and that the other observers are limited in their observation but he sees the whole. So then rather than actually affirming that there is a plurality of different views which all equally grasp “the truth” from different viewpoints. By adopting this worldview I was actually claiming that I had a superior and complete perspective from which I was able to see how everyone else was limited in their truth claims. A self-defeating or self-refuting claim is one which if true actually undermines itself and ends up being incoherent and false. Suppose I said to you “I cannot write in English”. The sentence cannot possibly be true because the sentence itself is written in English and therefore there is atleast one sentence that I can write in English. Similarly Nietzsche argues that all truth claims are power plays. Talk about absolute truth are attempts to assert our will to power; to impose our will on others. 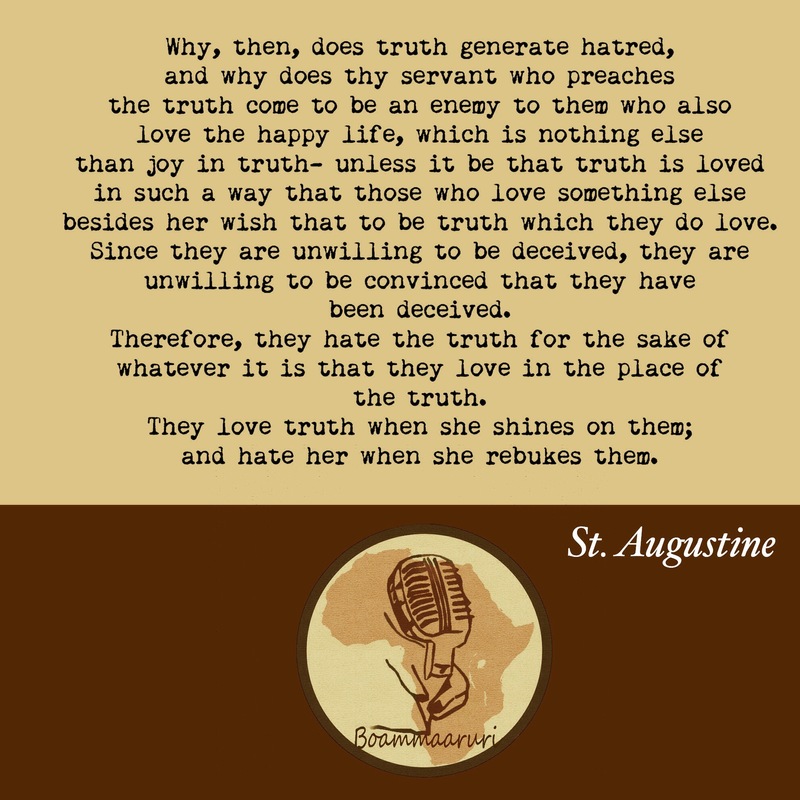 However, there is no such thing as absolute truth. The problem is if it is absolutely true what Nietzsche argues then his claim is itself a power play and therefore cannot be true. His claim undermines and refutes itself and therefore cannot be true. Kweli’s claim that it all “sounds like game” when people believe that “one is right and the other is wrong”– is itself an assertion that it is wrong to make certain claims such as, “My religion is true and others are false” . Kweli wants us to believe that it is true that “All religions are true”. However, Kweli is then actually saying that his claim is right and others are wrong, which exactly “sounds like game”, a power play, an attempt to deceive or coerce others, which he was accusing others of doing. The reality is that truth is exclusive by its nature. The law of non-contradiction testifies to this principle, something cannot be A and not A simultaneously. Common says the heart and crux of all the different religions is about doing good. The aim of religion is to teach people to practice good. This understanding of religions is partly true however ultimately flawed. It is partly true because moral beliefs, right living and doing good are essential elements of religious practice. All religions have a moral code which we are to abide by. However this cannot be what religions are essentially about because it ignores particularly how some of the major religions have originated. The founding members of the different religions and worldviews founded them precisely because of the different core beliefs they had. Differences in core ideas includes beliefs about the nature of God; whether God has revealed himself through certain people; what our ultimate destiny is after death. For example Buddha grew up as a practicing Hindu and abandoned it because he thought its core ideas were inadequate in explaining reality and his experience. The first Christians were Jews who believed in the Old Testament and founded Christianity because of certain beliefs about Jesus they came to hold. Different religions exist precisely because of the differences in the core ideas between them. The core beliefs are more fundamental in explaining why any particular religion exists at all. I misunderstood what tolerance was. The claim that all religions and worldviews are the same actually ends up being intolerant. Rather than affirming the different experiences and truth claims, engaging them on their own terms and respectfully disagreeing – it reduces them to something they never claimed to be. If you could go back in time and ask first century Christians who were being persecuted, tortured and killed for their beliefs whether they thought all religions and claims about God are the same and the really significant thing is how to live – they would obviously find such a claim absurd. That is simply not what they were dying for. So the view fails to take seriously the beliefs and lived experience of people. It fails to engage people in what they believe and the reasons why they think their worldview is true. It is a view that ends up being patronizing and condescending of religious beliefs; and leads to a shallow and narrow understanding of different worldviews and religions. It is a view that actually refuses to tolerate the fact that there are different worldviews with radically different claims from one another which cannot be reconciled. In fact by reducing all worldviews and religions to be the same it undermines their plurality and diversity. My initial views were based on a mistaken understanding of what tolerance is. I thought tolerance meant accepting and agreeing with all views however this radically mistaken. Historically tolerance referred to putting up with what you disagree with. My wife has certain tv shows that I do not like. However, I tolerate them which means I it up with them and do not force or coerce her into not watching them. Tolerance does not mean I now accept and like those tv shows, or that all I think all tv shows are equally good. Also, it would be absurd to say I tolerate my favourite tv shows. Proper tolerance presupposes disagreement, diversity and real mutually exclusive differences in beliefs. Real diversity and disagreement in beliefs is the starting point for persuasion and debate. In a world where there is no tolerance, ideas could not be debated and rationally argued. Related to the previous point is conflating the superiority of ideas and beliefs with that of people. I thought claiming that some ideas and beliefs are true and accurate and therefore superior to others also meant that the people with the true beliefs were superior and others inferior. However, this is simply not the case. Our equality as human beings is based on our shared human nature and not whether we have ideas and religious beliefs which are false. The fact that other people have worldviews and religious beliefs which make more sense of reality than mine does not mean that they are superior. All people are equal but ideas, beliefs and practices are simply not all equal. We should not conflate the two. For myself, as no doubt, for most of my contemporaries, the philosophy of meaninglessness was essentially an instrument of liberation. The liberation we desired was simultaneously liberation from a certain political and economic system and liberation from a certain system of morality. We objected to the morality because it interfered with our sexual freedom. Although I did not think life was meaningless, I thought there was a God but whose nature, will and reasons were to obscure and transcendent and mysterious to be known but nonetheless God wanted me to be fulfilled in any manner I defined; it was up to me to define what the mystery of life entailed and what moral demands I would accommodate. What I initially found attractive about religious and spiritual relativism was that it appeared to make sense of religious pluralism and diversity. By adopting relativism I was spared the difficult task of trying to weed and sift through the different worldviews and trying to understand which worldview was accurate and true. My relativism was also motivated by a moral value in that I thought it was more tolerant and open minded to accept that all religions and worldviews are equal, no one religion is superior. My understanding of tolerance was that it meant agreeing with what everyone believed. I now find these beliefs that I held to be mistaken. It is mistaken to conflate equality of people with equality of the ideas and beliefs they hold. All people are equal in virtue of their shared human nature however ideas are not equal; some ideas are better, more accurate and true while others are not. Tolerance does not mean agreeing with what everyone thinks and believes but rather putting up with error, putting up with what you disagree with. Tolerance presupposes real disagreement and diversity in ideas and beliefs. The laws of logic dictates that mutually exclusive claims cannot both be true, therefore all religions in virtue of the fact that they claim propositions which contradict one another cannot logically all be true. I also had to abandon the assumption that religious beliefs and ideas are subjective and not objective. A category mistake because claims about the nature of God, humans, morality and life are claims about what reality is objectively like and not just preference and opinion akin to one’s favourite ice-cream. We are truth seeking animals in need of an adequate basis for knowledge and action. Our worldview provides the framework and lens through which we interpret reality and make sense of it. Our worldviews cannot all be true, either they are all false or atleast one worldview is true. Our mission is to discover what is true. The Virtue blog. Why worry about relativism? Hi, I want to address you by your name but I’m not sure what it is, perhaps you could tell me? I wanted to say that I think this blog post is brilliant – possibly one of the best posts I’ve ever read (seriously!). I am wondering how you would feel about turning this post into an essay format (and converting it to a PDF) so that I can feature it as a free download in my Essays page on my blog? Obviously you would be credited with the authorship and copyright. If you’re interested, feel free to reply to this comment or drop me an email through my Contact page (http://perfectchaos.org/contact) and we can discuss the details. If you don’t like the above idea I could always write a post linking to your blog post instead. I don’t like to do ‘reblogging’ (i.e. hitting the ‘reblog’ button) because it appears quite messy. Will look forward to your reply! Thank you. That is arguably one of the most gracious comments I have received. My name is Tsholofelo Pooe, and I would be absolutely delighted if you would like to share the essay. I will turn into PDF and email it to you! That’s fantastic that you’d like to go with the essay option. I find it helpful to get someone to check my essays for mistakes (I mean proofread) so if you would like me to do that before converting your document to PDF just let me know. It’s always good to have another set of eyes and I did notice a few typos in your post. But if you’d rather do that yourself, that’s fine as well. Keep in touch and thank you! I would appreciate that if you could proofread it. Okay, how about you get it into a state you’re happy with, then send it to me in an editable document (e.g. Word) and then I will proofread it? You’re such a good writer that I’m sure I won’t need to do much. Yes I recall reading this post and your story about the blind men with the elephant included the Raja which I had never come across before. Indeed without someone who sees the whole picture we would be unable to grasp the totality of truth.